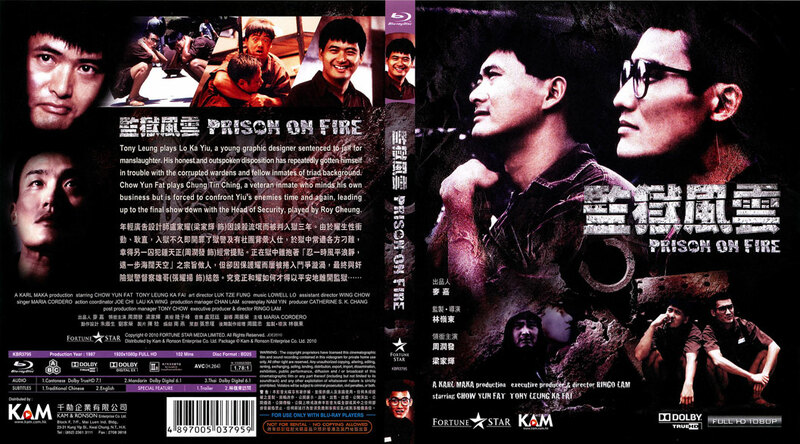 An intense and powerful Hong Kong movie, director Ringo Lam's Prison On Fire is a classic genre film and one of the signature films of legendary actor Chow Yun Fat! Lo Ka Yia (Tony Leung Ka Fai) is sentenced to prison on an involuntary manslaughter charge, but his righteous inexperience in prison politics make him an immediate target. Enter seasoned inmate Mad Dog (Chow Yun Fat), whose carefree attitude hides a deep and thorough understanding of the prison life. Mad Dog takes Ka Yia under his wing, and just in time, too! The prison is about to be torn asunder by gang rivalries, all orchestrated by the cunning and dangerous Boss Hung (a menacing Roy Cheung), the prison's top security guard. As prisoner morale slowly erodes, will Ka Yia be dragged in, or will he rise above it all? And will Mad Dog finally reach his breaking point? Told in powerful, explosive style, Prison On Fire is a stunning action drama, and proof of Chow Yun Fat's amazing versatility as an actor. Nominated in eight categories at the 7th Hong Kong Film Awards, including Best Picture, Director, and Screenplay. Chow Yun Fat received a Best Actor Nomination, but lost to another of his performances, in City On Fire. Followed by the 1991 sequel, Prison On Fire II.